Man Utd face Crystal Palace on Monday night, and Jose Mourinho has confirmed that he will be missing a number of key individuals for the showdown. The Red Devils are still facing a battle to finish in the top four to secure Champions League qualification for next season, with a six-point gap currently existing between them and fifth-placed Chelsea. In turn, by the time they take to the pitch at Selhurst Park on Monday night, they could be under pressure to avoid a slip up which could give their rivals the opportunity to make ground on them. 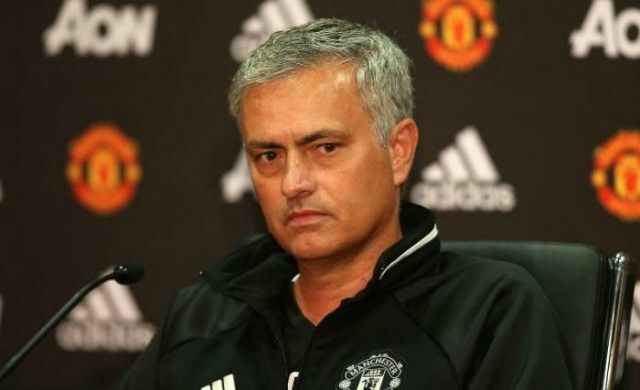 In an ideal world, Mourinho would want a fully-fit squad to select from for the business end of the campaign, but ultimately he’s been left short for their next outing, as confirmed in his press conference on Friday afternoon. Freelance injury analyst Ben Dinnery notes that the Portuguese tactician confirmed that Marcos Rojo, Phil Jones and Daley Blind are all out, while Zlatan Ibrahimovic isn’t ready to return and Ander Herrera is still recovering from his own injury setback. Meanwhile, the Manchester Evening News also added that Marouane Fellaini is out, and so Mourinho will have a weakened squad at his disposal. Nevertheless, he still has plenty of strength in depth and cover to fill the voids, and so he’ll be confident of putting out a strong line-up against the Eagles as the visitors will look to extend a three-game unbeaten run in all competitions.